Rona Legunn is an accomplished dentist with over 25 years of experience. 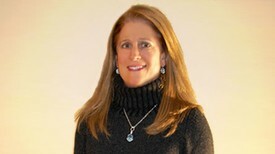 She has run her own conveniently located private practice in Carmel, New York since 1985. Rona Legunn distinguishes herself as a dentist by focusing on a kind, gentle approach. She ensures affordable oral care for her clients, accepting most insurances and offering financing options. Rona Legunn earned her Doctor of Dental Medicine from the Fairleigh Dickinson University School of Dentistry in Hackensack, New Jersey. She received a Prosthetic Award for excellence in crown and bridge procedures during her time in dental school. She completed her residency at Hackensack Hospital, a nationally ranked teaching and research facility. In her private practice, she strives to use the most up-to-date technologies and practices in her state-of-the-art dental office, utilizing digital radiography machines instead of traditional x-rays. These allow for more efficient image processing as well as decreased radiation for patients. Dr. Legunn is also a Nobel Biocare Implant Partner. Dental implants have been utilized for over 35 years with outstanding success. Dental implants can be utilized to stabilize loose dentures and replace missing teeth. In addition to these advanced products and techniques, Dr. Legunn offers general, cosmetic, emergency and children’s dentistry. She is also skilled in tooth whitening, white fillings, white crowns, and all forms of aesthetic dentistry. Rona Legunn earned her diplomat in forensic dentistry in 1988 and has since served as the dental coroner for Putnam County.